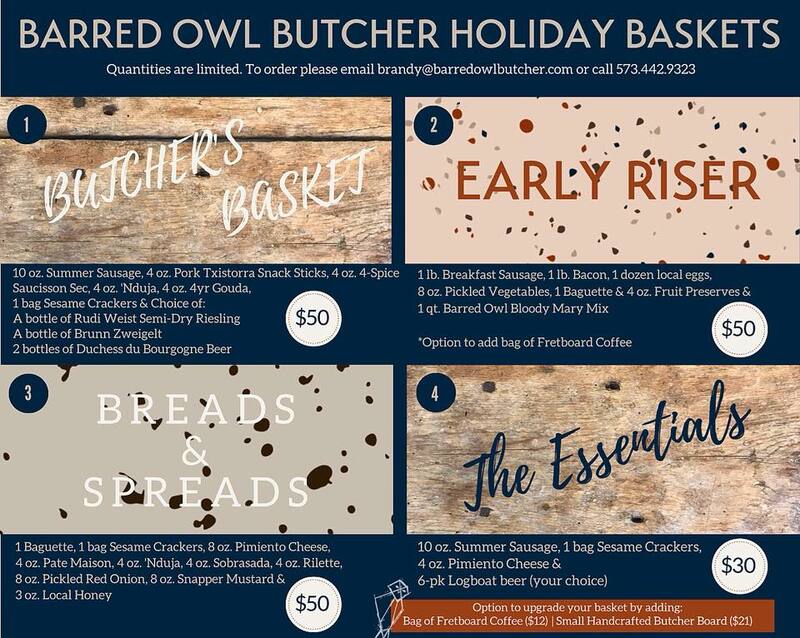 Barred Owl gift boxes – It’s 5pm and you’re on the way home with no plan for dinner. You could stop at the grocery store, sure. But swing into Barred Owl’s retail section and you’ll eat far, far better – I promise. You might go the charcuterie route and pick up a selection from their dozen or so cured meat concoctions. Or grab steaks or chops for the grill. Wednesday night I picked up fresh brats for the family and, simmered in beer and sauerkraut as we helped the kids with homework and emptied the dishwasher, we were miles ahead of frozen pizza. Sitka Salmon Shares – Probably my favorite food discovery this year. Sitka Salmon Shares is basically a seafood CSA, shipping you amazing salmon, cod and other fish each month. Whatever their small fleet of family-run fishing boats is catching is what you get and they do a great job of introducing you to the fishermen (and women), the varieties they catch and providing some truly killer recipe ideas. Holiday boxes are available through this weekend or sign up – like me – for a monthly delivery. Fretboard coffee (and travel mug) – Fretboard’s been my go-to coffee provider for several years now – they always hit the right balance of depth and acidity for me. Great for stuffing stockings and, for a limited time, if you buy three bags they’ll hook you up with a travel mug for free. Can’t beat that. Carbon steel pans – I don’t actually have any carbon steel pans, but a chef-friend of mine swears by them. Properly-handled, these are as non-stick as the coated pans, with none of the sketchy stuff peeling off into your food. Java Press – When my second coffee grinder broke a couple of months ago I hit Amazon for a manual alternative. This one cranks, literally, out a small French press-worth of coffee in about 30 seconds. Can more than 3,800 mostly 5-star reviews on Amazon be wrong? Coffee/tea mug from Poppy – Anything from Poppy, really, but definitely a locally-crafted coffee or tea mug. Murray’s Cheese – One of the best reasons to shop at the Gerbe’s on West Broadway is this outpost of New York City’s venerable cheese shop. Put together your own cheese gift board or have the (usually) knowledgeable staff do it for you. Gift cards too! The Cooking Gene – I didn’t buy many cookbooks this year. But I’ve been absorbing – “enjoying” really isn’t the best word – this urgent, unflinching and intensely personal exploration of an African-American culinary-historical reenactor’s genealogical journey. Focused on food, sure, but also pain. Unlike anything I’ve ever read; Michael W. Twitty writes like an angel. I saw those new Logboat insulated metal pints last night. $20 gets you one filled with tasty beer, and they come in a variety of colors.